The Neutrik NYS373-6 Phono Plug features a black shell, and contains gold-plated contacts and a rubber boot for best anti-kink protection. 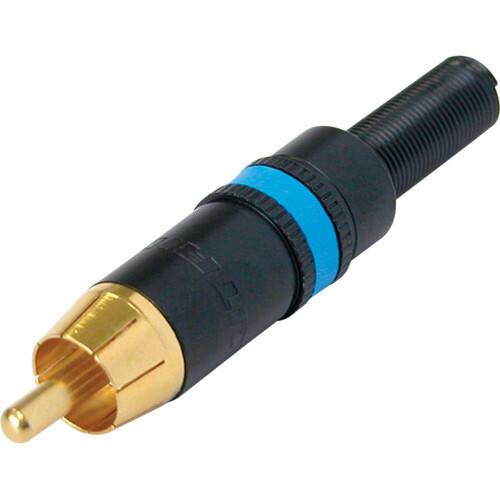 It also comes with a chuck-type strain relief for cable with an outer diameter ranging from 0.13 to 0.24” (3.5 to 6.1mm) and features a blue color-coded ring. Box Dimensions (LxWxH) 4.8 x 3.5 x 0.2"